Michael Joseph Baxter was born on December 7th, 1984 in Whitestone Queens, New York, just a stone's throw from Shea Stadium. The six foot outfielder was Mets fan & loved the swing of John Olerud while growing up. He attended Archbishop Molloy high school in Briarwood Queens. 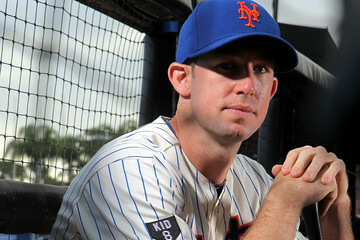 He is the first player from Molloy to make it to the big leagues. He then went to Columbia University & Vanderbilt University in Nashville. In 2005 he was selected as a fourth round pick of the San Diego Padres. By 2009 he was batting .300 at AAA for the Portland Beavers. In 2010 he hit 18 HRs with 30 doubles & 72 RBIs hitting .301 at Portland when he was brought up to the Padre team. He would go 1-9 the rest of the season as a pinch hitter. In July 2011 was placed on waivers & got picked up by his hometown New York Mets. He was sent to A ball St. Lucie in the Florida State League where in four games he batted .476 (7-16) with four RBIs. He was then promoted to AAA Buffalo where in 18 games he batted just .188 (12-64) with 5 walks a HR & 7 RBIs. Buffalo manager Tim Teufel informed Baxter he was called up to fill in a roster spot for the injured Jose Reyes & Daniel Murphy. Baxter made his Mets debut at Citi Field on August 8th as a pinch hitter against his old Padres team mates. He doubled off Chad Qualls driving in Lucas Duda for his first Mets RBI. 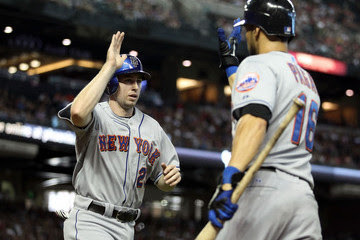 The Mets began the inning down 8-4 & would go on to win the game 9-8 on Duda's walk off RBI single. In his first Mets start two days later, Baxter went 1-3 with two walks while playing right field . Baxter got more starts during the last week of the season and in the last game of the year he hit his first career HR, it was a two run shot against the Cincinnati Reds leading New York to a 3-0 win. In 22 games he batted .235 with three HRs, 14 doubles & 17 RBIs. 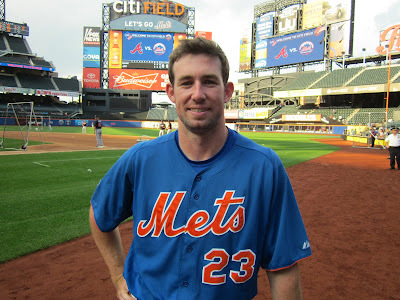 In 2012 Baxter made the Mets squad out of Spring Training. In April he appeared mostly as a pinch hitter, getting five hits in 12 pinch hit appearances. He hit well enough to be batting .339 at the end of May. Baxter will go down in Mets history for making a spectacular catch against the wall on June 1st, preserving Johan Santana's no hitter, the first no hitter in Mets history. The catch was made in the 7th inning, off the bat of the St. Louis Cardinals Yadier Molina. He dislocated the joint between his right collarbone and sternum and tore rib cartilage on his right side. 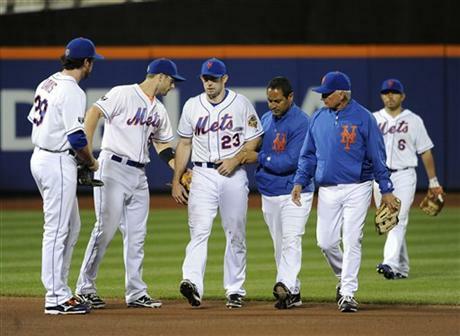 Baxter went on the disabled list but certainly was being praised as a hero. 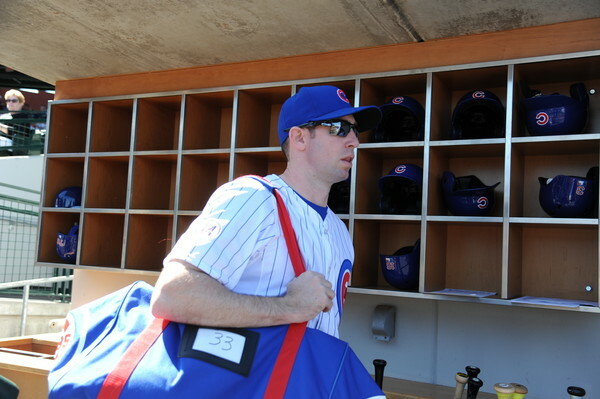 He returned on July 30th making a pinch hit appearance. On August 1st in his first start upon his return, he set a Mets record, by recording five walks in a game at San Diego against the Padres. At the end of August he showed some power hitting HRs in two of three games on a road trip to Philadelphia. Baxter hit his third & final HR in September, when the Phillies came to Citi Field. Baxter finished the year batting .263 with three HRs 14 doubles & 17 RBIs posting a .365 on base %. 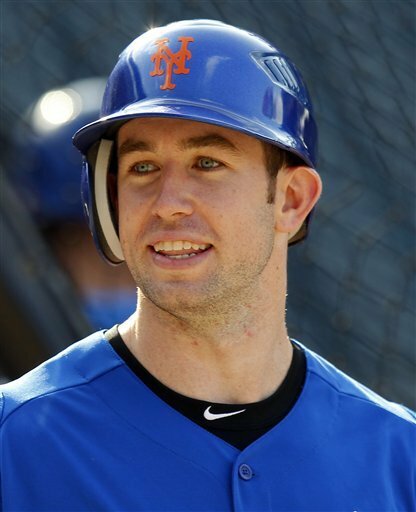 In 2013 he returned to the Mets as a reserve outfielder to start out the season. On May 7th he came in as a pinch hitter in a scoreless game at Citi Field against the Chicago White Sox. 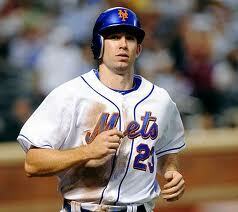 Baxter hit a walk off single driving in Ike Davis with the only run of the game. Two days later he ended another game with an RBI pinch hit base hit off Jason Grilli to beat the Pittsburgh Pirates. At the end of June he was hitting just .222 7 was sent down to AAA Las Vegas where he hit .289 in 53 games. Baxter returned in August but struggled, he finished the year batting .189 with six doubles & four RBIs in 74 games (132 at bats). In October he was placed on waivers & was picked up by the L.A. Dodgers. He saw action in just four games for L.A. in 2014. In 2015 he was picked up by the Chicago Cubs. Baxter played in 34 games batting .246 (14-57) with 0 HRs 2 RBIs. In his six year career he has 95 hits with 23 doubles four triples 4 HRs & 28 RBIs in 232 games played.